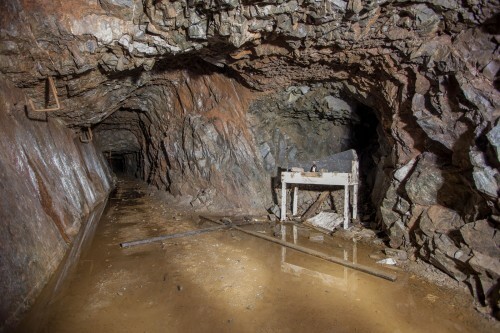 Tucked away in the hills of Northern Ontario near the Montreal River is a mine in remarkably good condition. 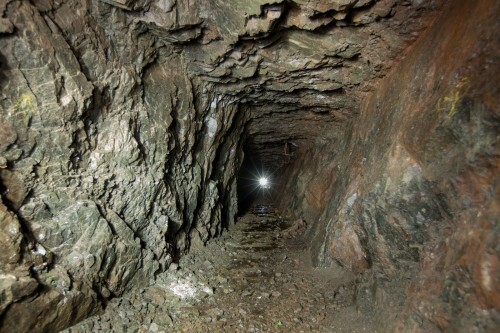 This mine, with a 1050 foot adit driven into the hillside, is the Ranwick Mine, and primarily extracted uranium from the ground after pitchblende was discovered in November of 1948. 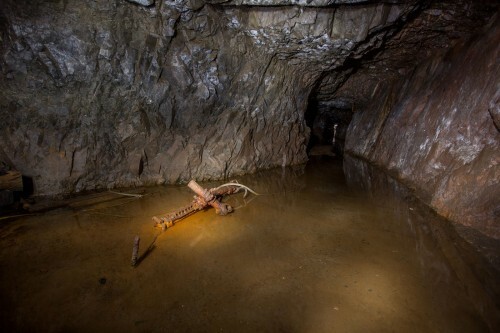 It however, didn&apos;t last long; the last of the ore was extracted in 1951, after which the mine was abandoned. It didn&apos;t stay that long, however. 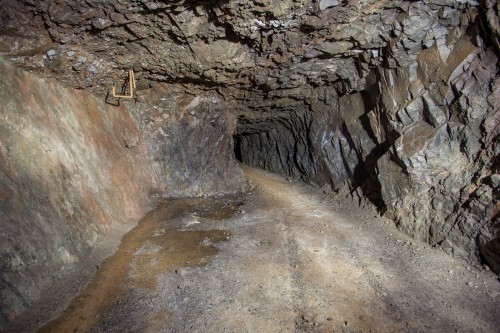 Sometime in the 1960&apos;s, the mine changed ownership and the new owners operated the mine as a tourist destination, going so far as to pave the floor of the mine with an asphalt path for easier walking. 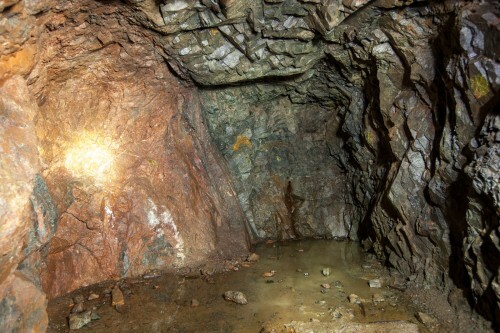 This venture had some success, lasting until the 1970&apos;s, until it ultimately shut down as well. 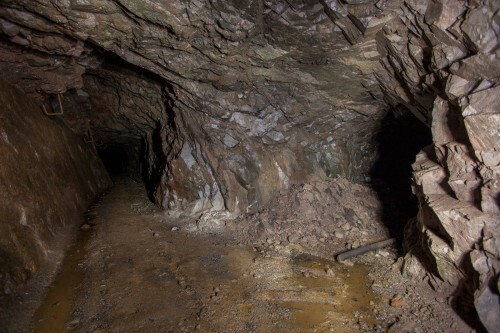 Since then, the adit has been mostly backfilled, although access is still possible. 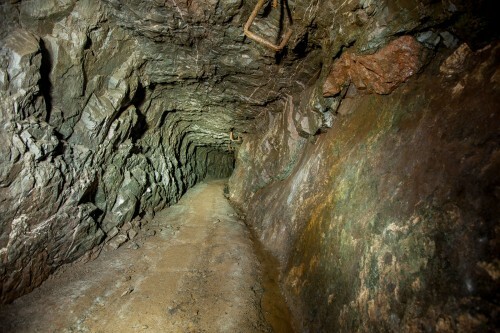 Entering the mine was interesting. 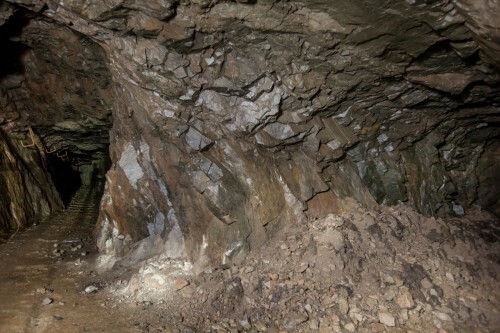 Climbing the backfill, the open adit is still quite obvious, with the entrance being supported by fairly rotten timbers, some of which have collapsed. Climbing over them was interesting, with my tripod going through one of the timbers when I put some weight on it, giving a rather abrupt wake-up call to the state of the timbers. 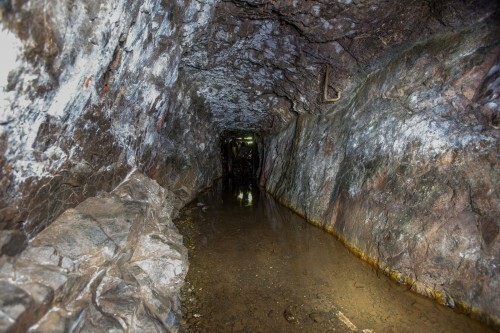 Once past the first 20 feet or so where the timbers were, the mine was fairly stable, albeit flooded with a few inches of water in places.The asphalt path still remains, making it fairly comfortable to explore the adit right to the end, as well as the couple of short drifts that branch off the right side of it. All in all, not bad for my first adit.